"Yoga is a process of self-discovery. It is not the pose that counts; it is the journey to go there." The yoga pose is not the goal, becoming flexible or standing on your hands, touching the toes is not the goal. The goal is to create space in your body, and become aware of your mind. We strongly believe in the therapeutic virtues of Yoga. Practice of Asanas (postures) or Pranayama (breathing) will let go of stress, to breathe more consciously, to reconnect with yourself and to free any physical, emotional and/or mental tensions. With a consistent and regular practice, Yoga will bring you benefits beyond the mat. Yoga postures "Asanas" to provide strength and flexibility - It doesn't matter if you are flexible or stiff, weak or strong, yoga can transform your body and mind and improve your overall health. Yoga breathing “Pranayama” to control your breath, improve the quality of your breath which is directly related to your mental state. 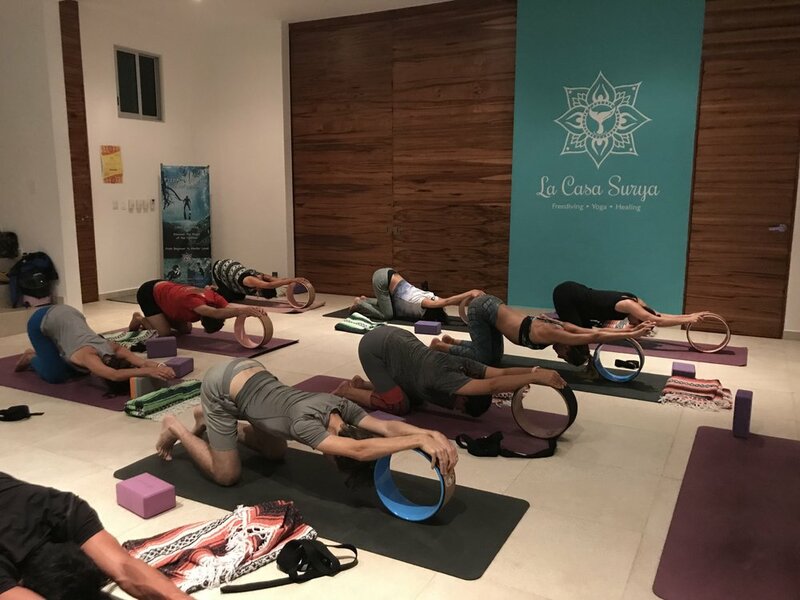 Come and experience a Yoga Class in Tulum! La Casa Surya welcomes you in its cosy yoga studio in Tulum. We accommodate 12 students to provide maximum attention to your practice. We provide high-quality yoga mat, straps and block free of charge. Below is our weekly schedule and we recommend to check it regularly as classes and time might change. (All students must fill out a waiver release). My classes are energetic, demanding and detailed, focused on breath as rhythm and the principles of alignment. While helping you progress from week to week, I will challenge you into discovering your hidden potential. I look forward getting the best out of my students. A 60-minute practice designed to improve your freediving/diving skills. It will help to increase your flexibility, increase your concentration, and improve breathing which helps to expand your lung capacity and soothes your sinus. A 60-minute practice based on asana practice focused on connecting the body and mind with the purpose of increasing awareness and stability. Understand and experience each asana for long hold, with a focus on alignment and breath is a perfect conditioning to tone the muscles and awaken the body and the mind. A 60-minute practice focused on moving through dynamic sequences of postures as you move with your breath. Vinyasa class builds on your strength and stamina, whilst maintaining calmness in body and mind throughout the practice. A 75-minute restorative practice focused of long, and deep stretching, allowing the body to open on a deeper level, and cultivate a peaceful and meditative mind. 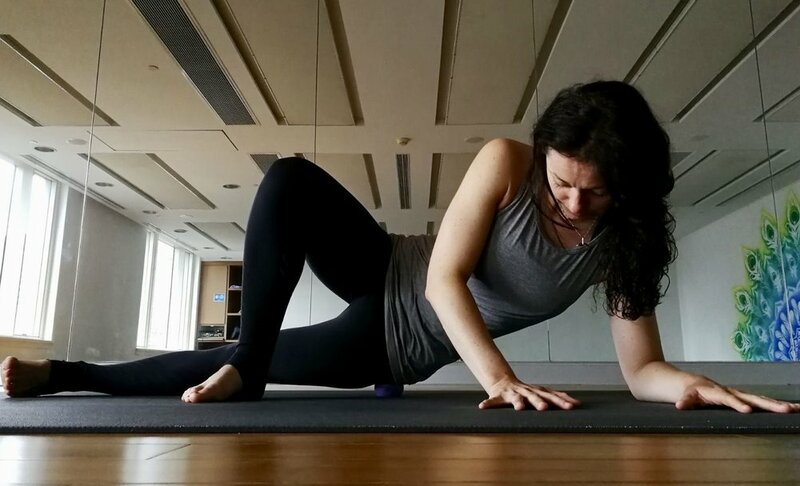 The class can also include some myofascial release techniques to work on the connective tissues helping to relax tense muscles. We will end the session with healing sounds derived from Alchemy Crystal Singing Bowls. These bowls produce a resonance, that is not only heard but also felt. A relaxing and meditative state is cultivated during the class with the purpose of promoting the restoration of the body. Suitable for anyone seeking to calm their minds and revitalise their bodies.